In our recent research trip members of our BTIM Concentrated Global Shares Team met with a range of CEOs, CFOs, operational heads and investor relations contacts at companies across multiple cities in the US (Seattle, Chicago, Boston and New York) and Europe (London, Paris and Berlin). On this trip we focused primarily on our industrial businesses based in the US and the global consumer beverage, restaurant and media names based in Europe. While our primary interest was on specific operational updates from our investee companies, we also widened the lens on Europe to gauge how the broader economy is progressing along some semblance of recovery and how that may evolve over time. Data observations on the European economy in recent months have been painting a picture of iterative improvement in consumer and business conditions so it is prudent to delve deeper at this point in time. Our broad range of meetings (sample list below) reaffirmed our positive view that the world’s economies are on the mend and the major European domestic economies are well positioned to see growth in manufacturing, further reductions in unemployment, rising asset prices and favourable conditions for businesses linked to the domestic economy. We believe investors will be well rewarded by taking a genuine long-term approach to allocating capital to European equities. Currently, our Concentrated Global Equity Fund has over 28% invested in European and UK equity positions. In overall terms, our meetings with industrial companies confirmed our positive views on their respective industries. Regular readers of our monthly and quarterly commentaries would be well aware of our positive views and associated meaningful positions in the aerospace industry so we are taking the opportunity through this article to provide an update from our visit to Boeing’s headquarters. Boeing is one such aerospace business held within our Fund. The key objective of our research agenda for Boeing was to gain a deeper understanding of the underlying demand dynamics that support aircraft production. We also sought to understand and assess management’s strategy to return free cash flow – the net revenue generated from ongoing operations – to shareholders. 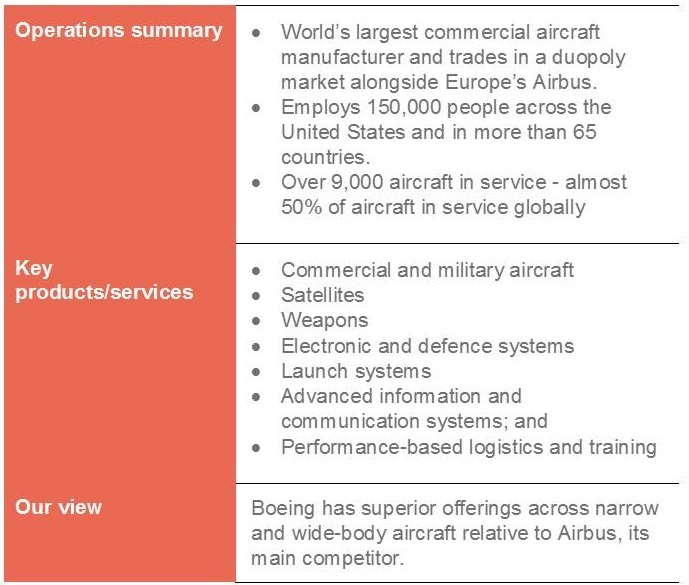 Following these discussions, our assessment of Boeing’s prospects remains positive. The company has successfully managed earlier technical issues with the Dreamliner 787, which has allowed management to focus on improving the program’s economics. Cash-based breakeven was achieved in the second quarter of 2016 and profitability has improved in each subsequent quarter through cost reductions and the sale of more profitable variants of the 787. At the same time, production of new aircraft continues to accelerate. Factoring in the company’s strong order pipeline, the cash flow and earnings power of Boeing is well supported over the coming years. We don’t expect the development of the next generation of aircraft to disrupt Boeing’s cash flow growth as expenditure for the new 737MAX-10 and ‘middle of the market’ aircraft will coincide with the completion of existing program investments. If approved for development, the ‘middle of the market’ aircraft could deliver Boeing a significant gain in market share. This new offering is designed to fill the market gap that exists between the 737 and the 787, which at the very least, would improve the economics for routes where the 787 is perhaps not best suited. The more significant opportunity for this aircraft is to introduce new routes for airlines, which will drive incremental demand for new aircraft. Our feedback from aviation industry observers suggests the market for such an aircraft would be around 4,000 units. 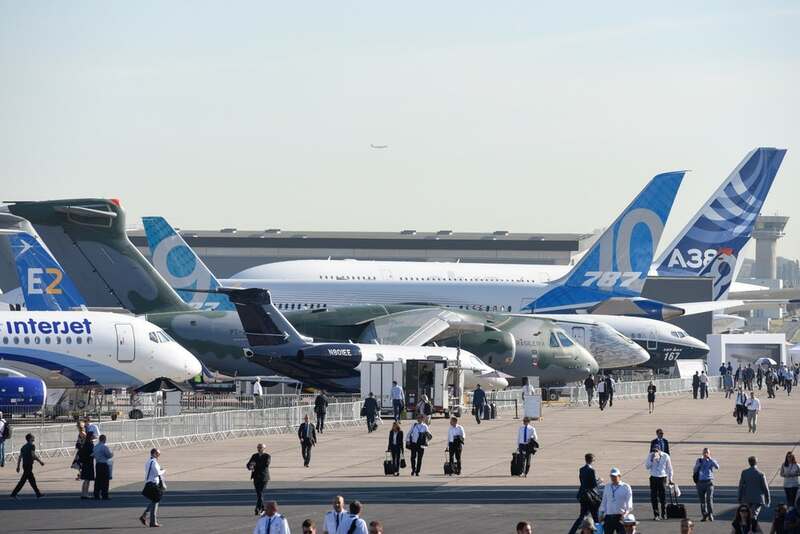 This year’s Paris Air Show, the world’s premier exhibition for the aerospace industry and a key forum for attracting aircraft orders, provided a good opportunity to corroborate the strong demand Boeing is seeing from airlines. Boeing outsold Airbus at the show, with 571 firm orders and commitments for new aircraft, compared with 336 recorded by Airbus. At list price, the Boeing orders could potentially gross US$75 billion in revenue. Boeing’s Chairman, President and CEO, Dennis Muilenburg, is a highly regarded operator and knows the business intimately. Muilenburg’s tenure with the company dates back to 1985 and he was appointed as CEO in July 2015, with subsequent appointment as Chairman of the Board in March 2016. . Muilenburg and the Board have maintained a commitment to delivering shareholder value, with a stated goal of returning a majority of the company’s free cash flow to shareholders. Since taking the helm, this commitment has seen the company deliver strong dividends and maintain commendable discipline in capital expenditure – credentials that look for within our process. Our continuing discussions with company representatives give us confidence that the new management team are focused on assigning more operating authority to their unit heads which, over time, should encourage more entrepreneurial ownership behaviour. This will result in lower capital expenditure, lower research and development costs and higher production efficiencies being extracted. Management remains committed to delivering 100% of the free cash flow to shareholders and we are happy to continue to hold this business in our portfolio for the foreseeable future, especially considering the business is trading on an adjusted free cash flow yield of 9%, compared with 8% for Airbus. The Bots have landed…at a pharmacy? We have all heard stories of robots taking human jobs, be it in the automobile manufacturing industry, transportation, asset management and financial advice service areas, and there is no doubt the trend is accelerating. 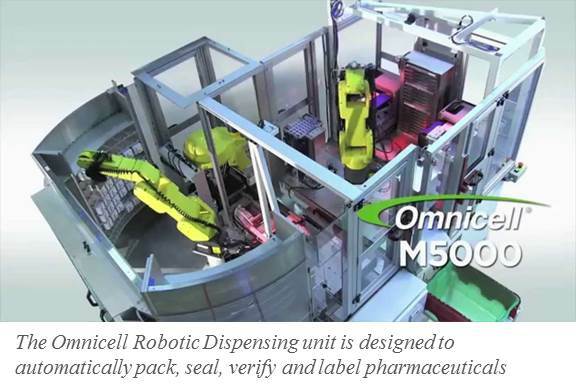 There was no better example of this acceleration than a recent site visit to a high street retail pharmacy in downtown Berlin, where robots were dispensing prescribed medicines directly to the consumer. All that is required is your doctor’s script which is entered by the sales clerk into the cashier terminal and within one minute your product is dispensed, complete with labelled instructions on dosage. The system is fast and efficient, providing an end-to-end inventory and billing management process to facilitate increased compliance. With one less head count in the store and no need to accommodate a lunch break, the productivity gains are significant. It will be interesting to see how long this technology takes to arrive in Australia and the reaction from the Pharmacy Guild of Australia. We can see early interest from the discount pharmacy chains, given their model is geared towards high turnover / lower margin. Naturally, this system would require some change in practice for doctors, many of which still issue hand written scripts with scribe quality that is often at odds with their level of intelligence. Of course, machine learning may come into play here and the bots will no doubt progressively learn to decipher the most illegible doctors’ scrawl. We monitor disruptive developments like these emanating from offshore markets to consider the implications for investors. Not only will pharma-bots be a win for consumers, the major pharmaceuticals manufacturers will naturally hold a vested interest in the more efficient delivery of their product to consumers. It is plausible to see companies like Merck, Sanofi and Pfizer pursue a direct distribution model and develop ATM-style dispensaries installed at convenient sites like your local café. A skim latte, blueberry friand and 250mg of Penicillin please!